Bernard (Barney) Cornelius Cooney was born on July 11, 1934 at Currie, King Island, Tasmania, the third of four children of Bernard Pius Cooney and his wife Constance (Corrie) Eva, née Curtain. Most of Cooney's mainly Irish forebears had lived in Tasmania for several generations, one back to the 1820s. There was the frequent Tasmanian background of both convict and west coast mining heritage among them, as well as farming. From 1929 Barney Cooney's father was King Island branch manager for the Commercial Bank of Australia; in 1937 the bank transferred him to Culgoa, in the Victorian Mallee. The Depression was not far behind and men carrying swags were frequent visitors to the home. The courteous, kindly way his mother treated them left a lasting impression. In about 1942 Cooney senior left the bank and took up a small business at Deer Park in the western suburbs of Melbourne. After three years, there were further moves to the Victorian country towns of Gunbower and Yarck, and finally South Melbourne, where the family ran a milk bar. Barney's father died in 1951; Corrie Cooney maintained the milk bar, with family help, until her death in 1968. Barney was educated at state primary schools, apart from a short period at a Rochester Catholic school. He attended state secondary schools at Cohuna and Alexandra, before going on to St. Kevin's Christian Brothers College, Melbourne, from 1947 until 1952. Barney Cooney won a Commonwealth scholarship to study at the University of Melbourne, where he graduated BA/LLB. He joined the ALP Club, represented the university at boxing, and did national service with the university regiment. He was also a member of the Newman Society and would remain a staunch Catholic. Cooney served his articles with the firm Alexander Grant Dickson and King and was admitted to the Victorian Bar in 1961. His work lay mainly in personal injury and industrial law. In 1980 he chaired an inquiry into workers' compensation in Victoria, resulting in a revision of laws governing workers' compensation in that state. Cooney married Lillian Gill, a fellow lawyer, on 24 April 1962. They had three sons and two daughters, one of whom died as an infant. Cooney joined the St Kilda branch of the Victorian ALP, serving as branch secretary and president. In 1965 he became an early member of the Participants, an originally nameless group formed to break the dominating hold of the left-wing unions on the state branch of the party since the split of the mid-50s. The Labor vote in Victoria had been consistently low, helping keep the party out of office nationally as well as in the state, and Victoria had been a frequent source of trouble for the ALP. Participants colleagues included John Button, future premier John Cain, a future federal attorney-general, Michael Duffy, and Richard McGarvie, QC, later governor of Victoria. After federal intervention in the Victorian branch of the ALP in 1970 and 1971, ex-Participants formed the nucleus of a new Independents faction in the now reorganised and more open party. The Independents held the balance on the state administrative committee between the Labor Unity and Socialist Left factions. Cooney was elected to the state administrative committee on an Independents ticket in the mid-1970s and continued there for the next decade. By the 1990s the Independents faction was in decline, and in 1994 Cooney joined the Socialist Left. 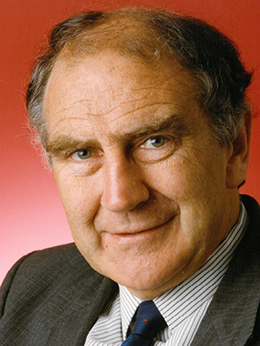 Cooney was elected to the Senate on 1 December 1984, having gained preselection for the third place on Labor's Victorian Senate ticket when the Socialist Left supported him as a compromise candidate after a deadlock between their contenders. Cooney was re-elected in 1987, 1990 and 1996, and remained in the Senate until he retired in 2002. In a normal half-Senate election, Cooney would not have taken his seat until 1 July 1985. However, under the provisions of the Representation Act 1983, which increased the number of seats in the House of Representatives and the Senate, Cooney served from the first meeting of the new Parliament on 21 February 1985. He was fifty years old and carried with him more than twenty years' experience of workers' legal problems. In his first speech to the Senate, six days later, Cooney touched upon themes central to his contribution to the Senate over the next seventeen years. Cooney argued that if power corrupts, 'lack of power corrodes absolutely'. He said that in Australia those lacking power 'to give at least minimum expression to their needs' included Aborigines, the unemployed, and non-English speaking migrants, 'particularly women'. 'The more they can be effectively equipped with power the more likely it is that their social distress will be abated and the community as a whole benefit'. Cooney also expressed admiration for lawyers prepared to fight for civil liberties, citing the example of communist barrister Ted Laurie, and emphasised the importance of civil liberties in preserving a democratic society. I am proud to sit on the outside edge of the legislative horseshoe of this chamber. Parliament has been much affected by the drawing from it of the Ministry. There have been advantages and disadvantages in that. One disadvantage has been the weakening of Parliament's status as a bulwark against executive power. There is today, as there has always been, a need to temper executive power, and accordingly, that weakening is a matter of regret. The legislature has difficulty in maintaining its identity as the arm of the government that exercises quality control on the executive ... Nevertheless, in that context I think the Senate reflects best—without casting too much reflection on the House of Representatives—the function that parliament has. Cooney believed that the Senate was best able to temper the otherwise unfettered power of the executive when no one party had a majority in the chamber; more than many of his colleagues on both sides, he valued the part played by minor parties such as the Australian Democrats and the Greens. In a Senate strengthened since 1970 by an active committee system, Cooney made his career debating in the chamber and in committees, instead of competing for a ministry. He saw committees in general as an essential part of the legislative arm of government, and felt that the most effective means of reviewing legislation was through the committee system. He involved himself fully in committee activities, sitting on six during the first year of his Senate career. In all, Cooney was a member of twenty-five parliamentary committees and chaired seven Senate committees: Regulations and Ordinances (1985–87), Scrutiny of Bills (1987–93), (1996–2002), Legal and Constitutional Affairs (1988–94), Legal and Constitutional References (1994–96), Estimates Committee E (1990–93), and select committees on the airline pilots' dispute (1989–90), and the pay television tendering process (1993). [W]e all want to see that justice is done to everyone in our society so that those who would seem to be at the periphery, those who are on the edge, become the brothers and sisters of those at the centre ... This Scrutiny of Bills Committee is a committee ... directed by the Senate to see whether the legislation is fair. Throughout his time in the Senate Cooney was vigilant in defence of civil liberties. In 1985 and 1986 Caucus, he objected strenuously to proposed national identity card legislation, describing it publicly as Orwellian and 'a very dangerous trend'. He asked: 'Why should you be licensed to be a citizen?' Cooney's work on Senate legal and constitutional committees frequently focused on issues of human and civil rights. Together with Tasmanian Australian Greens Senator Bob Brown, he submitted a dissenting report on the ASIO Legislation Amendment (Terrorism) Bill 2002, which argued that the measure marked 'a sharp fall in the quality of our civil life and of our democratic system' by enabling people 'not reasonably suspected of having committed a crime' to be taken into custody 'solely to gather information from them'. During his last few years in the Senate, he was troubled greatly by an increase in legislation which adversely affected the rights of the individual. He wrote in 2002 of an 'unhappy development in commonwealth activity which prejudices the quality of civil rights in Australia', particularly a trend towards strict liability in Commonwealth legislation and the 'shrinking of the rule of law' in bills passed in 2001 and 2002 concerned with asylum seekers and anti-terrorism measures. In 2001 Cooney described Howard Government measures excluding off-shore islands from migration zones as 'draconian' and 'directed against some powerless people': 'This is not legislation that has arisen overnight; it has resulted from years of demonising people who come to Australia'. What happens with legislation is that it creeps. You cannot look at legislation simply in terms of what is happening now; you have to look at what might happen later on. Once you proscribe an organisation, people say, 'That's how things are done.' ... What was put in as an exception originally becomes a precedent for more and more power to be given to the executive, and that is a real problem. Cooney's rural background proved a valuable asset to his party in country Victoria, where the Coalition dominated the House of Representatives. Some electors preferred to deal with a Labor member, and he received numerous representations on questions such as social welfare, immigration and the defence forces during country visits and at his Melbourne office. For most of his time in the Senate he published Cooney's Counsel, a lively monthly newsletter which discussed 'a range of country issues and many other issues as well'. In 2002 Senator Conroy observed that the 'job that he [Cooney] has done in rural and regional Victoria on the behalf of the Labor Party is enormous'. Cooney remained on the roll of the Victorian Bar while in the Senate, and after he left in 2002 he took a number of pro bono cases. In 2003 he became patron of the Conciliation Assistants Representing Employees Group (CARE Group), whose members are WorkCover officers employed mostly by Victorian unions. In 2005 Cooney was appointed chair of the advisory group to the Elder Abuse Prevention Project, established by the Victorian government. The advisory group's report was acted on by the Bracks Government in 2006. On Cooney's final day in the Senate, valedictories from all sides were a measure of the great respect and affection felt for him. The Liberal Party's Senator Hill said that 'Barney sets a standard to which most of us seek to aspire, but rarely reach, in terms of his personal demeanour, his commitment and his values... . He is always fighting for the underdog'. According to Senator Alan Ferguson (Lib, SA): 'Everybody knows Senator Cooney because he is the most gracious man who greets every new member and makes them feel so much at home'. In response, Cooney said that there was only one way he could pay 'proper tribute' to all those he had worked with in the Senate: he tabled the Parliament House Communications Directory. Senator Bob Brown later characterised Cooney as 'a pillar of humanitarianism in the Senate, in the Parliament, where politics is often cool and crude and distancing and cold. In fact, he's a centre of warmth. Barney's like a little radiator going down the cold corridors of power'. The author has drawn on conversations with Barney Cooney in April/May 2008; Rennis Witham, 'Barney Cooney, Senator for Victoria 1984–2002', Recorder, No. 263, Oct. 2009, pp. 6–7; CPD, 24 Sept. 2001, pp. 27706–9, 26 June 2002, pp. 2695–7; B. C. Cooney, Committee of Enquiry into the Victorian Workers' Compensation System, Melb., 1984. Ross McMullin, The Light on the Hill: The Australian Labor Party 1891–1991, OUP, Melb., 1991; Frank Bongiorno, 'Remembering Ol' 55: the Victorian Fabian Society and the road to intervention', in Brian Costar et al. (eds), The Great Labor Schism, Scribe Publications, Melb., 2005; John Button, As It Happened, Text Publishing, Melb., 1998, pp. 1138–40; SMH, 18 Oct. 1986, p. 27; AFR (Syd. ), 27 July 1994, p. 8, 27 April 2001, p. 11. CPD, 27 Feb. 1985, pp. 217–19. CPD, 16 May 2002, p. 1827, 29 Aug. 1988, pp. 408–10, 5 Nov. 1985, pp. 1570–1. CPD, 26 June 2002, p. 2695. CT, 5 June 1986, p. 1; Transcript, ABC Radio, 'PM', 14 May 1985; 'Comments of Senator Cooney' in Senate Legal and Constitutional Legislation Committee, Provisions of the Migration Legislation Amendment Bill (No. 1) 2002, Canberra, June 2002; CPD, 24 Sept. 2001, pp. 27706–9; 'Report by Senator Cooney and Senator Brown' in Senate Legal and Constitutional Legislation Committee, Provisions of the Australian Security Intelligence Organisation Amendment (Terrorism) Bill 2002, Canberra, June 2002. CPD, 26 June 2002, pp. 2627–8. CPD, 27 June 2002, p. 2874. Barney Cooney, 'Members making their mark', AIAL Forum, No. 33, June 2002, p. 34. CPD, 27 June 2002, pp. 2869–2900; Transcript, ABC Radio, 'PM', 27 June 2002. This biography was first published in The Biographical Dictionary of the Australian Senate, Vol. 4, 1983-2002, Department of the Senate, Canberra, 2017, pp. 448-452.